The 2016 Emmitt Smith Celebrity Invitational kicked off at the beautiful Preston Hollow estate of Lisa and Steve Lieberman on Wednesday, January 13. 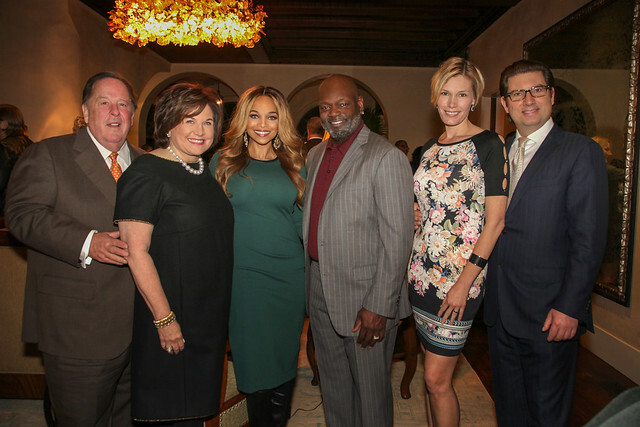 Pat and Emmitt Smith announced honorary chairs LeeAnn and Alan White, event chairs Carmen and Thomas Surgent and thanked all event sponsors for graciously offering their time and resources to make the 2016 Emmitt Smith Celebrity Invitational a success. A theme of 007 was announced in honor of the event’s 7th anniversary. Country music star, Billy Dawson, flew all the way in from Nashville to surprise guests with an acoustic performance at the event. “Pat and I are thrilled to host this weekend-long fundraiser for the Pat & Emmitt Smith Charities. We are gratified by the continued support of our friends, family, colleagues and our ever generous corporate and community sponsors. It is a true labor of love for us, and we feel blessed by the opportunity to provide for underserved children in our community” -Emmitt Smith. Guests had the opportunity to hear firsthand from four of TEAM 22’s participants, who shared the life changing experiences they’ve been afforded through TEAM 22 and the exciting news of one of the first program graduate’s acceptance to Duke University this fall. Tickets for the Friday Night Party begin at $500 and pavilion passes for the Saturday Golf Tournament are $50 each. The Invitational weekend will commence on Friday, May 6th, with a VIP reception, celebrity red carpet entry, dinner, car raffle and live auction party at the Omni Dallas Hotel. The invitational continues on Saturday, May 7th, with an 18-hole charity golf tournament at TPC Craig Ranch in McKinney. Now in its 7th year, the event has raised more than $5 million in support of Pat and Emmitt Smith Charities, PESC, a 501(c)(3) public charity that creates and funds unique educational experiences and enrichment opportunities for underserved children, including PESC’s very own Team 22 program. TEAM 22 provides long-term mentorship, unique enrichment experiences with business leaders, politicians, artists and athletes, a summer enrichment program, college tours and access to a college education through scholarships. For more information, visit http://www.emmittsmith.com/celebrity-invitational. 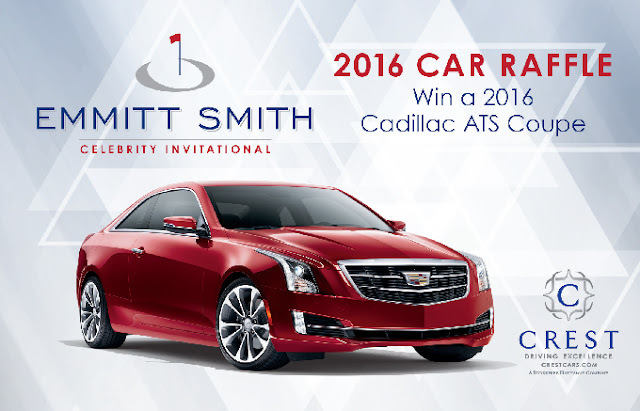 ENTER TO WIN A 2016 CADILLAC ATS COUPE! Only 1000 tickets will be sold. Cost $100 per ticket.